By Audrey Golden. Jun 15, 2017. 9:00 AM. Planning a trip to France or the U.K. anytime soon? While many famous writers have called these places home, perhaps no author’s experiences living in both regions better reflect a life lived, in many ways, on the margins, as those of Victor Hugo. As you might know, Victor Hugo was a central figure in the Romantic movement, and he remains one of the most well-known French novelists and dramatists today. He published his first works in the 1820s, but it wasn’t until the publication of the novel The Hunchback of Notre Dame [Notre Dame de Paris] in 1831 that Hugo gained fame throughout Europe. Indeed, the work was translated into numerous languages for public consumption. Shortly after using the novel to highlight a need for Paris to attend to important structures such as the Cathédrale Notre-Dame de Paris, Hugo turned toward a broader reaching political endeavor. 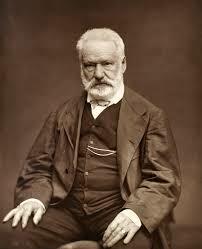 He started writing Les Misérables (1862), which dealt with matters of class and social justice. As it turns out, his town homes in Paris and Guernsey are now museums that the public can visit. The Place des Vosges is a Parisian Square located in the city’s 4th arrondissement, which includes the Cathédrale Notre-Dame de Paris and, on its outskirts, the Place de la Bastille. The square got its name after the French Revolution in tribute to the Vosges region, which is on the border of Germany and Luxembourg. Hugo’s Paris home is located in one of the buildings that’s positioned just off the square. It is a municipal museum, and it is open to visitors everyday but Monday from 9:00 a.m. to 6:00 p.m. What should you expect to find inside? This is the apartment that Hugo rented from 1832 until 1848. He lived in this very building while he was writing Les Misérables, and moved in shortly after the publication of The Hunchback of Notre Dame. 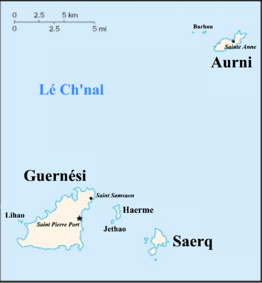 The museum apartment attends to each of the three phases of Hugo’s life: life before exile, life during exile in Guernsey, and his life after exile back in France. Most of the rooms contain Gothic-style furniture and architecture, particularly in the antechamber, “Red Room” (named for the deep crimson damask on its walls), and the dining room. The “Chinese Trade Fair” room contains anomalous—for the apartment—Chinese-style panels that were designed and painted, in part, by the writer himself. If you visit the museum, you’ll learn that these panels and the room where they hang represent Hugo’s life in exile in Guernsey, distinct from his life and experiences in Paris. Of greatest interest to visitors may be Hugo’s office, a deeply saturated green room where Hugo did most of his writing (and drafted pieces of Les Misérables). To round out the history of Hugo’s life in France and in exile, the bedroom has been restored to the state it was in when Hugo returned from exile. He spent the final years of his life in Paris until 1885, when he died in this very bed that you can see upon visiting the Place des Vosges apartment. If you have time for travel across the English Channel while you’re in Paris, you should complete your tour of Victor Hugo’s homes by making a stop on the British island of Guernsey. It was here that Hugo spent his years in exile—resulting from his political opposition to the French government—and where he completed and published Les Misérables, in addition to a number of other works. The house is located in Saint Peter Port, and Hugo resided here from 1856 until 1870. The multi-storied Haute House was central to Hugo’s ability to write and to maintain his creative impulses. Most interesting, a “lookout” on the third floor of the home gave Hugo a clear sightline to the coast of France, his home country from which he had been banned. If you’re a Victor Hugo fan, or if you’re interested in visiting writers’ homes, we highly recommend these two locations.